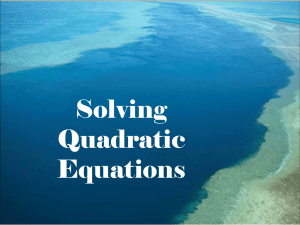 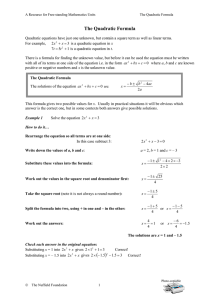 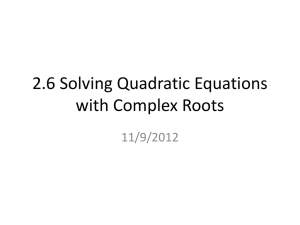 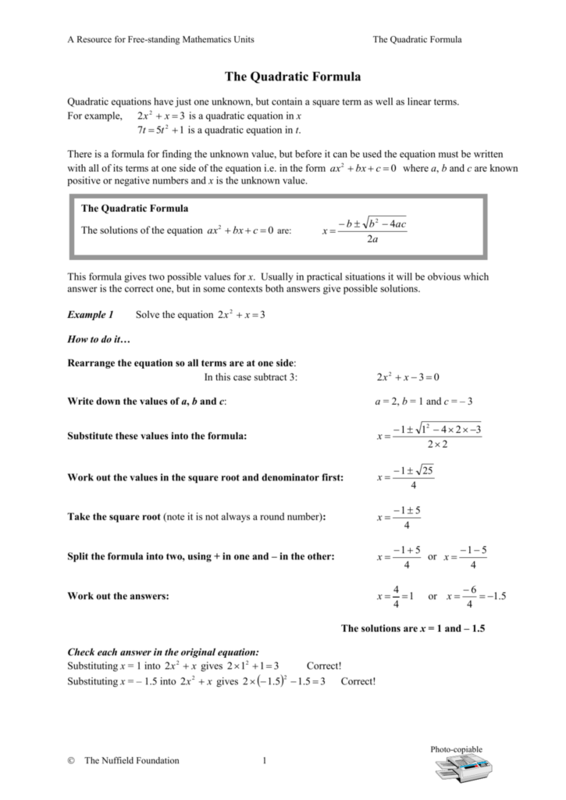 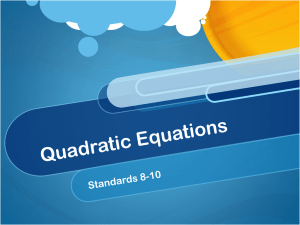 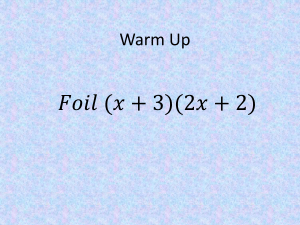 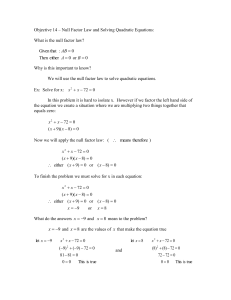 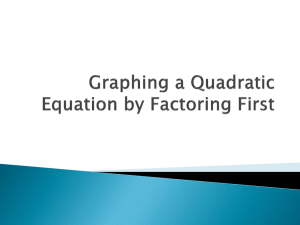 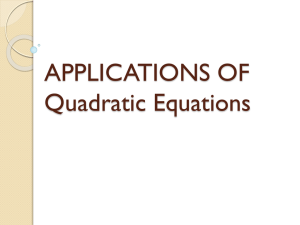 Quadratic equations have just one unknown, but contain a square term as well as linear terms. 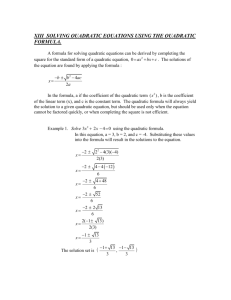 7t  5t 2  1 is a quadratic equation in t.
positive or negative numbers and x is the unknown value. 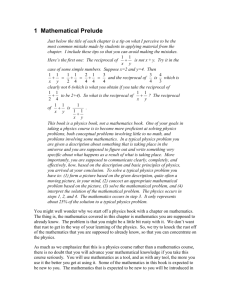 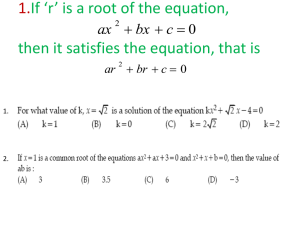 answer is the correct one, but in some contexts both answers give possible solutions. 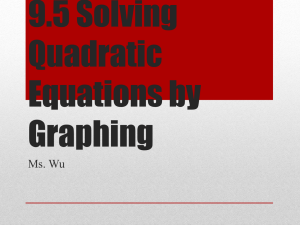 Substituting x = – 1.5 into 2 x  x gives 2   1.5  1.5  3 Correct! 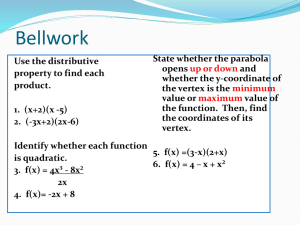 The working is usually easier if the squared term is positive.